Very good content. Keep up the great work. Wow! Powerful post! Thank you for writing it! You’re welcome! I am so glad you like it. Thank you for sharing! I think that’s a feeling that we all have had at some point in our lives. However, I think you gave some great suggestions on how to overcome the feeling. I’m glad you liked it. Thank you for sharing your thoughts! Thank you, thank you, thank you! I could not have read this at a better time. My three-year old is in a really hard phase and my one-year old copies everything he does, meaning the bad behavior, and I’m constantly feeling inadequate. Really, thank you for sharing this. I’m so glad!! Your threenager will grow out of it I promise. This season in our lives is so short but your not alone, I’m in this with you! Threenager. Yeah, that’s completely accurate! Loved this! 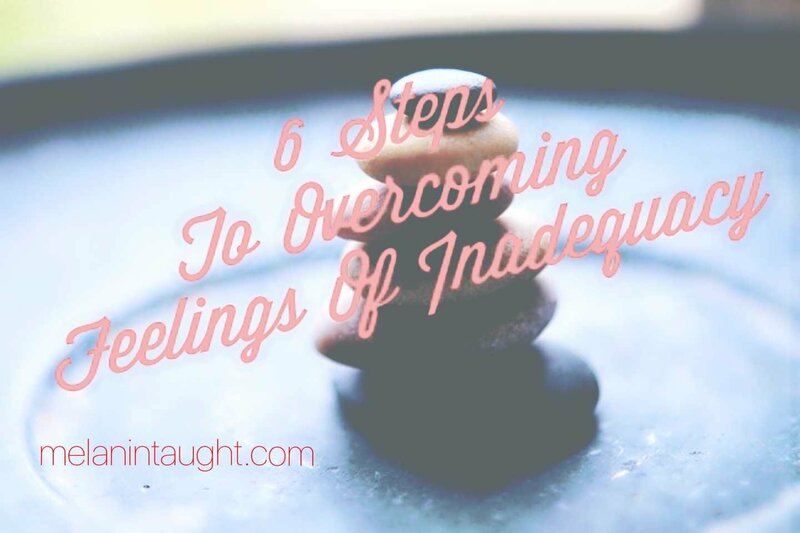 Amazing list of things to remember when we’re feeling inadequate! Lovely words, thank you for sharing! Oh I love this post so much. I needed it right now. Thank you! I love when things work out that way. We all need to be reminded every now and again that we are enough.